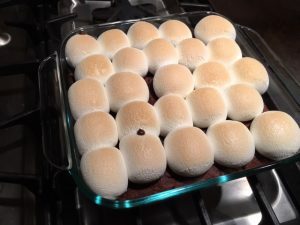 Here’s what you need to make allergen-friendly s’mores brownies! 3. did not involve shopping for ingredients. 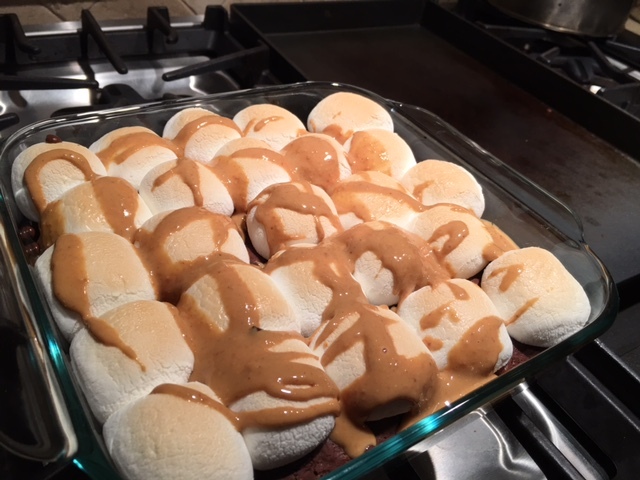 Ready to dig into the gf/df smores brownies! I looked in the box that Enjoy Life Foods had just sent me and my creative juices got to work. One of the things I like about this company is that when you buy any product, you know it is free from the top 8 allergens (wheat/gluten, dairy, eggs, soy, peanuts, tree nuts, shellfish, and fish). There were 2 kinds of cookies one of which I remember someone telling me worked great as a graham cracker crumb, a brownie mix, and a small bag of chocolate chips. I knew there were some marshmallows in the pantry and all of a sudden, I had dessert. I was going to create a gluten-free dairy-free s’mores brownie recipe. *Thank you to Enjoy Life Foods for the samples. The opinions here are my own. Finely chop or puree cookies into fine crumbs using a food processor. Place in a medium bowl. Add melted butter substitute and mix until blended. 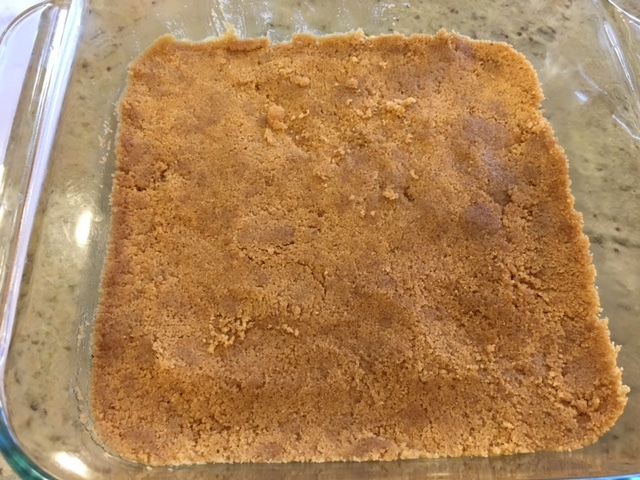 Place mixture into an 8” x 8” pan (I used glass), pressing down to form a crust. Bake 8 minutes or until golden. If you like the cookie portion less brown, only bake for 5-6 minutes. Cool slightly while you make the brownies. Follow directions on the brownie package by adding the water and oil. If the mixture seems very thick, add more water, 1 tablespoon at a time. 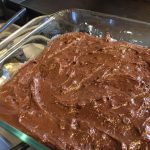 Spread the brownie mix over the baked cookie mixture. Place back in over for about 30-35 minutes. It’s better for them to be slightly underdone. 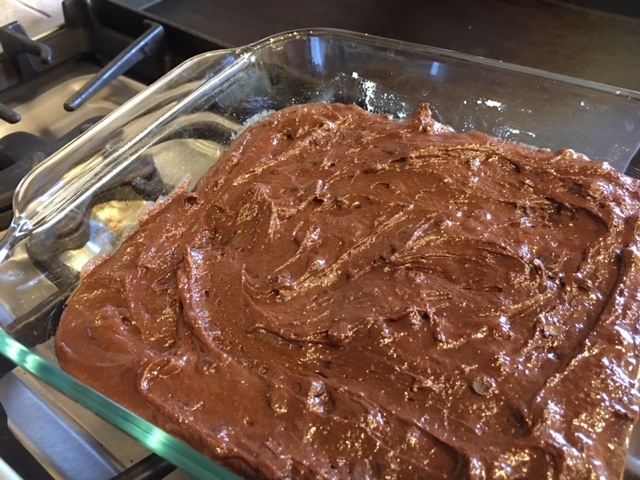 When the brownies are mostly done (there’s still some chocolate on a toothpick inserted into the middle), remove from the oven and cool at least 20 minutes. The next step should be done closer to serving. Reheat oven to 350F. 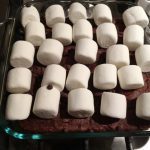 Place about 25 marshmallows in rows on top of the brownies. Sprinkle with the chocolate chips. Place the pan back in the oven and bake about 10 minutes. 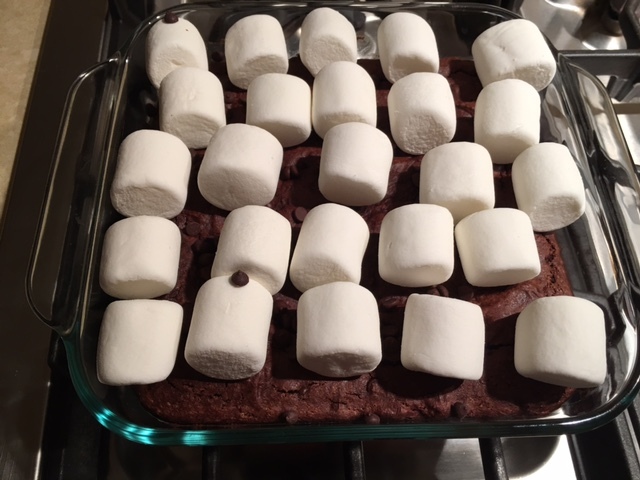 You may need to broil the marshmallows very briefly or raise the temperature of the oven. Keep a close eye so that they don’t burn. Marshmallows should be golden brown. Remove from oven. 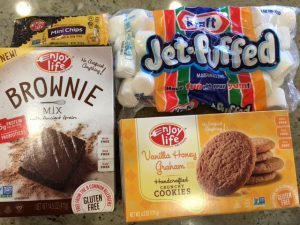 Optionally, drizzle peanut, almond or sun butter over the top of the marshmallows. 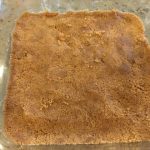 I did this with a creamy unsweetened peanut butter and it was delicious! I hope you “Enjoy” this recipe!! I added peanut butter to this batch-amazing! Amy Fothergill teaches cooking classes, provides consultations and presentations, and keeps up a regular blog on family cooking. 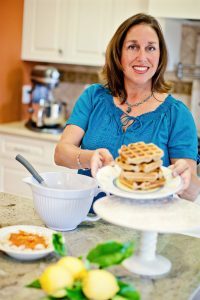 She is the author of the gluten-free cookbook, The Warm Kitchen: Gluten-Free Recipes Anyone Can Make and Everyone Will Love. Amy lives in the San Francisco Bay Area with her husband and two children.